1.1.1 Do you want to combine your trip Myanmar with Vietnam, Cambodia, Thailand or other destinations? 1.4.2 Do you want to choose another course? Burma or Myanmar is one of the most unknown countries in Asia. Therefore, the trips to Myanmar become an unforgettable experience. Completely virgin places still maintain the essence of Burmese culture one hundred percent. We would like to show you authentic image and we will fit your trip to your needs. Tell us how you want your perfect trip to Burma / Myanmar and we take care of everything. We want you to live in fully Burmese culture. That is why our trips is recommended to be in private. In this way, during your adventure, you are the one who decides the time of each visit. Each traveler is unique and has different tastes. Do you want to combine your trip Myanmar with Vietnam, Cambodia, Thailand or other destinations? Take the opportunity to get to know the old Burma in a private trip and combine it with other neighboring countries. From One More Destination’s experience, we recommend combining trip with Vietnam or Thailand since the airline links are direct. Anyway, when planning your trip, you could consider the trip to suit to your needs. A combination of very various cultures would make your trip become a much more interesting experience. A visit to the golden Shwedagon Pagoda in Yangon combined with a visit to the elephant rescue foundation camp in Chiang Mai or a cruise trip around Halong Bay would be complete with full of senses. Tell us what you want and we will take care of everything. Myanmar, the hidden treasure of Southeast Asia, is one of the most stunning destinations in the world. The old Burma has remained more hermetic to the tourism development than neighbor countries and, until a few years ago it was still difficult to approach visit it. Upon arrival, absolutely everything surprises travelers, from the daily activity, locals to the way of dressing. Day by day visiting, Myanmar keeps surprising you with its beauty. The country of the million stupas shines in golden color and the friendly smile of the local people always welcome you. By time, Myanmar develops at a frenetic pace and offers, more and better services to the travelers. Former capital of the country, it is still the most important city in the country by population and industrial development. Yangon shows without hesitation its strong locals’ religiosity. In addition, the strong British, Hindu and Japanese colonial influence is easy to perceive in the distribution of its streets and its architecture. The jewel in the crown on your trip to Myanmar. One of the destinations in the whole world is capable of leaving you breathless. 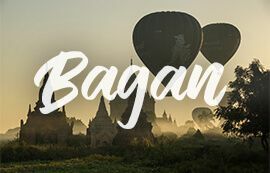 The plain of Bagan contains more than 2000 pagodas and stupas since the s. XI and XIII; which is considered one of the most important archaeological sites in the world. Let yourself be captivated by the magic of Bagan enjoying the sunset from the top of one of the temples. 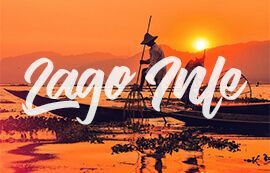 The natural paradise of Inle Lake is difficult to explain with words. A quiet lake surrounded by gardens, floating villages and spectacular nature where stilt houses and Buddhist temples were built on the water. Local fishermen would bring you on their traditional boats to visit the most hidden corners of the lake. There is much to discover in Mandalay, although the city may not as attractive as other destinations in Myanmar, the surroundings have a unique charm. 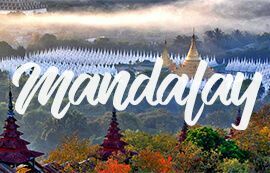 Let us show you the temples, monasteries and local markets of Mandalay and surroundings accompanied by incredible panoramic views from the top of the hill of Mandalay. Beside the essential places in Myanmar, there are some others that you should take consideration. They are also magical places, worthy being visited. We could recommend the perfect route based on your tastes, duration. Ask us how to complete your trip and make it unforgettable. Located at 1200 meters above the level of the sea level, it offers an incredible landscape on the road to Kalaw. 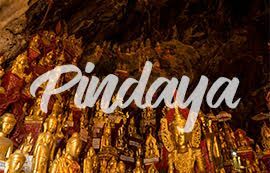 Pindaya is known for its limestone caves and temples. It is believed that the Pindaya caves are more than 200 million years old. Hundreds of sculptures and paintings inside were created with hand by devotees in honor of Buddha. One of the most important places of religious worship in the country awaits you. 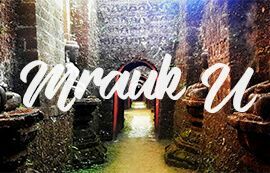 Not only Bagan, Myanmar has another archaeological site of great importance but still to be undiscovered: Mrauk U. Located in the Chin state, on the border with Bangladesh, this ancient city remains ruins of temples, pagodas and stupas of what was the ancient kingdom since the fifteenth to eighteenth centuries. In addition, the possibility of acknowledging curious life of the ethnic minorities in the area, make the long trip worthwhile. 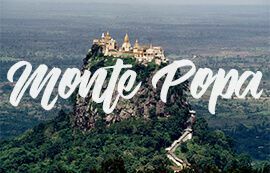 The most photogenic volcano in Myanmar, Mount Popa is a dormant volcano in the outskirts of Bagan. To reach its summit, 777 steps await you with hundreds of monkeys. Once reached the top of the mountain, the panoramic views do not disappoint. The monastery of Taung Kalat as the crown of Mount Popa is one of the most sacred and revered in Burma. 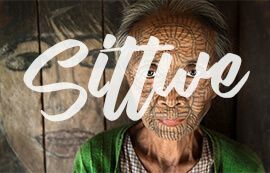 Sittwe, where the Kaladan River flows into the Bay of Bengal, is a place with an impressive historical interest and, although there is little memory of the past, the lively local markets and, in general, the traditional local life is more than enough reasons to explore this place. 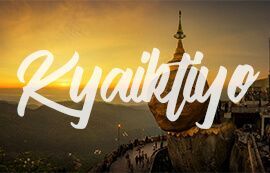 Famous for the huge golden rock perched on its summit, Kyaitkiyo is considered as one of the three most sacred religious places in Myanmar for the locals, and for travelers it is one of those places that should always pin in itinerary. As the result of cultural and spiritual value, it is easy to see hundreds of pilgrims reaching the top of the mountain to make their offerings. 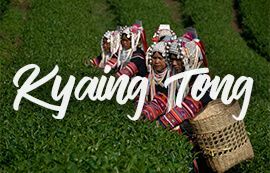 Isolated east of Myanmar, in the heart of the Shan state, Kyaing Tong lies in a picturesque mountainous context within the picturesque Golden Triangle. In addition to its scenic beauty, there is much more to explore in its surroundings, including several of the colorful ethnic minorities such as the Wa, Shan, Akha and Lahu or the hot springs west of Kyaing Tong. The place where to take perfect picture of the sunset. 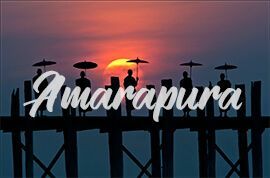 The U Bein bridge in Amarapura which is a beautiful structure of 1.2 km built on teak boards and considered the longest teak bridge in the world. The visit to U Bein is not only limited to its structure, but also to its surrounds. Hundreds of locals and monks who walk, ride their bicycles on bridge while under the bridge, local fishermen work daily. 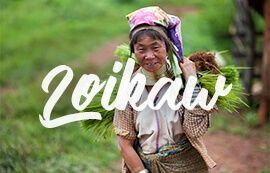 Loikaw is the capital of the remote state of Kayah, it’s the smallest and one of the least visited place in the country. It is worthwhile to spend a few days in this state to discover its landscapes and a large number of ethnic minorities that focus their work on river works, unlike Kyaing Tong. The best-known minority is the Kayan, whose women, better known as Giraffe Women, have the tradition of wearing hoops that lengthen their necks. Discover the authentic origin of this ethnic minority. Myanmar is known for its impressive temples and pagodas distributed throughout the country. Archaeological sites such as Bagan or Mrauk U, an ancestral culture and countless ethnic minorities are the reason. But it is also a place of paradisiacal beaches. Myanmar has stunning beaches for sea lovers. Next, we show you some of the beaches that we like most in Myanmar. 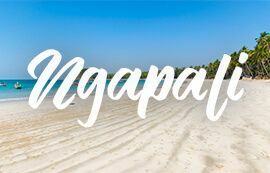 Ngapali is the best known beach in Myanmar. Even so, it remains a destination away from mass tourism and surprises with tropical beauty. Take advantage of your trip to Myanmar to pamper yourself and rest the last days in the crystal clear waters of the Bay of Bengal and enjoy some memorable sunsets. 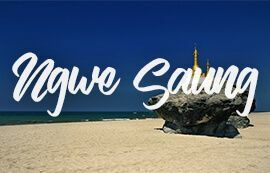 Ngwe Saung is another of our favorite destinations to relax after such an active trip. Located more to the south of the country, although oriented to the same Bay of Bengal,. Despite that it is now growing in hotel offer and has several accommodation options, it’s still quieter destination than Ngapali. 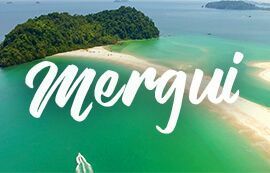 The Mergui archipelago is located in the Andaman Sea, coast of southern Myanmar. It’s composed of more than 800 islands that vary in size, from the smallest with only a few palm trees to larger islands of several hundred square kilometers, the archipelago offers great opportunities for exploration and diving between the spectacular marine life and the coral reefs. virgin coral. The cuisine in Myanmar is rich in influences. Both Thailand and India have contributed touches of their culture. Thus, it is easy to find typical Burmese dishes based on rice and various types of curries. Anyway, it would be a mistake to think that Myanmar does not have its own identity in its gastronomy. One of the greatest attractions of ancient Myanmar is its food. Let us show you the delights of Myanmar! A good gastronomy will complete your incredible trip. Because not only is a country known for its monuments or its landscapes, it is also forced to put the palate. 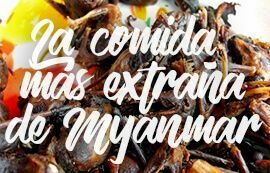 That’s why we want to show you what dishes you can not miss during your trip to Myanmar. The Burmese cuisine is delicious. There’s no doubt. Even so, like its neighboring countries, it has particularities. 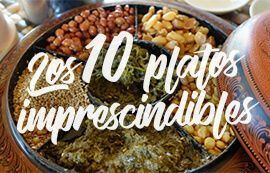 There are dishes that, a priori, may seem strange but, from One More Destination, we encourage you to put aside prejudices and be brave. Our list of curious dishes will surprise you. Do you accept the challenge? 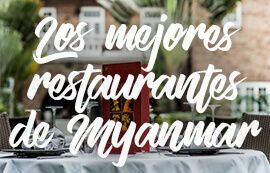 Soon we will have a new entry about the best restaurants in Myanmar. Without any doubt, Myanmar is the most closed country in Southeast Asia. Although it is opening at an incredible pace, it continues to be a destination that surprises with the tradition that is maintained in every detail of daily life. That is why you must take into account a number of points when traveling. We will start with the most basic points. 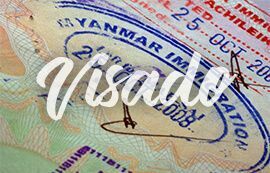 It is not possible to obtain the visa directly upon arrival. We must take it from origin, although it is also possible to do it online through the government website. This process takes for 3 to 5 days and costs 50 USD. 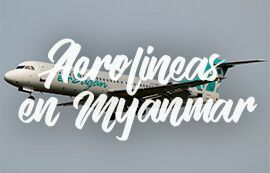 Upon arrival at the Yangon airport, it is only necessary to present the document received at immigration control without going through any extra procedure. From One More Destination we take care of processing your entrance to the country, just ask us. Vaccination to travel to Myanmar is optional but some vaccines are recommended. Japanese encephalitis, typhoid fever, hepatitis and tetanus are some of them. We like to insist that there is no mandatory vaccine because it may seem, by the recommendations, a destination with a high risk of diseases. 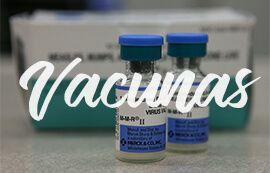 For more information about health and vaccines we advise you to visit your nearest vaccination center where they will assist you and inform you without obligation. 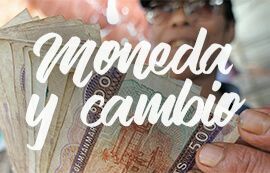 The local currency is the Kyat (MMK) and, although the US dollar is a very accepted currency, it will be necessary to change to local currency in order to move around the country. Until a few years ago there were no ATMs in the country but the rapid opening process has made it easier to move with credit cards. In any case, we recommend bringing cash in USD for the entire trip in new US dollar bills after 2006. Tickets damaged or before this date can generate many problems when paying or changing them. Although all the year has interesting aspects to travel to Myanmar, it is true that there is some better time than another and that must be taken into account. The dry season, from October to May, has a stable climate but this does not mean that it is not a good idea to travel in another time. The hottest months are March and April, where areas like Bagan can be suffocating. On the other hand, The month of July is the month of more rain although it does not usually affect any of the areas visited. When you travel to a country as different as Myanmar, there are always doubts about culture, infrastructure or climate. The security when moving around the country is one of them. That is why we want to solve doubts about the means of transport. It is always the best option to move between the provinces. Especially when the stay is limited to a few days and you want to make the most of the time. Domestic flights are fast and, given that airports in Myanmar are small, it hardly takes time to check in. Airlines such as Mann Yadanarpon, KBZ or Air Bagan are some of those that give us trust. 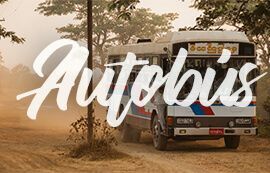 The bus is very popular in Myanmar not only for the locals but also for budget travelers. Although the night bus is a valid option to move over long distances, it is not very comfortable as one imagines. There are several types of buses: from the most local, with a minimum level of comfort; even those labeled as VIP, more prepared for the western traveler and with more space and comfort. Only suitable for the most adventurous. 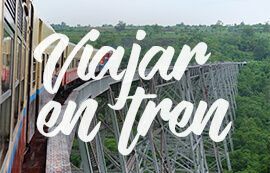 The rail network in Myanmar is clearly deficient since it dates from the late 19th century and has barely changed in more than 100 years. With the clear advances in other means of transport it is a bit absurd to dedicate too many hours of transfer to a medium that will take away a lot of travel time. As always, from One More Destination, we recommend this option. The freedom of schedules and the comfort offered by a private service is not comparable with any other means. 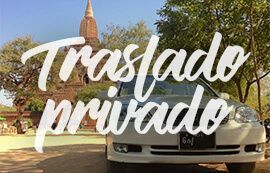 It is interesting to combine private transfers with other forms of travel to have a more complete experience. Anyway, the private transfer is the best way to enjoy a trip of these characteristics. 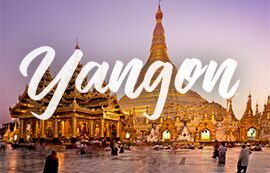 From OneMoreDestination, we want to give you the best tips to travel to Myanmar, and that is why in this section we will be publishing our latest articles so you do not miss details, news, good advice, destinations and much more. Do you want to choose another course? Enjoy the greatness of Thailand! What to visit in Laos? 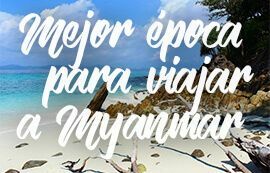 If you still do not know how to set up your trip, or have some questions, do not hesitate to contact us and we will help you prepare a trip tailored to the needs you require, in order to offer you the best personalized trip you can expect!